For the second year in a row, Crelate renewed as an industry partner of the Missouri and Kansas Search and Staffing Association (MKSSA). With this partnership, Crelate’s network of nonprofit connections now spans across four states in the US. MKSSA primarily focuses on legislative representation and advocacy for professionals in the recruiting and staffing industry. 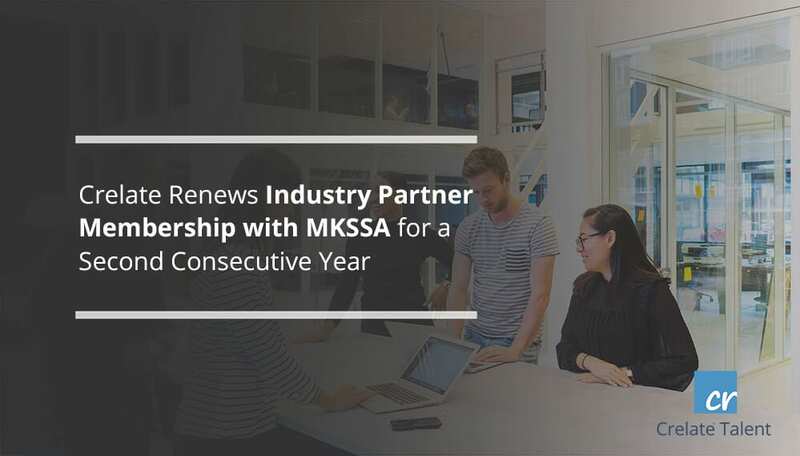 The MKSSA is dedicated to ensuring that the state governments continue to pass legislation that improves and supports the talent placement industry. The MKSSA is also associated with the American Staffing Association (ASA) and the National Association of Personnel Services (NAPS), which Crelate is also a member of. Additionally, the MKSSA provides other services including professional training and certification, referral networks, and legal assistance for talent search and placement firms within Missouri and Kansas. Partnerships with organizations like the MKSSA enable Crelate to engage with professionals in the recruiting and staffing industries and gather information that helps develop a comprehensive applicant tracking system (ATS) and customer relationship management (CRM) solution that meets the needs of every modern recruiter. Crelate’s software combines the applicant tracking and customer relationship management systems into a single cloud solution. This means that, using Crelate, recruiting and staffing firms can manage their talent acquisition and demand pipelines in unified interface. In short, talent placement agencies can use Crelate to run their business. Any business or individual with a primary focus of prociding search and staffing services to other teams, individuals, and organizations is eligible for membership in the MKSSA. Click here to schedule a demo and find out why Crelate can help your business grow. Partnerships with organizations like the MKSSA enable Crelate to engage with professionals in the recruiting and staffing industries and gather information that helps develop a comprehensive applicant tracking system (ATS) and customer relationship management (CRM) solution that meets the needs of every modern recruiter.Crelate’s software combines the applicant tracking and customer relationship management systems into a single cloud solution. This means that, using Crelate, recruiting and staffing firms can manage their talent acquisition and demand pipelines in unified interface.In short, talent placement agencies can use Crelate to run their business.Any business or individual with a primary focus of prociding search and staffing services to other teams, individuals, and organizations is eligible for membership in the MKSSA.Click here to schedule a demo and find out why Crelate can help your business grow.